Hasmukh R Patil, a farmer from Mandal near Ahmedabad, is on a mission to make solar powered tractors to help millions of farmers bring down their cost of cultivation and reduce dependence on expensive fossil fuels. With the diesel prices skyrocketing, solar-powered tractors would mean a major saving for farmers across India, and hence it was no surprise that Hasmukh Patil’s tractor drew huge crowds at the Vibrant Gujarat Startup and Technology Summit, 2018, held at Gandhinagar in October last year. Patil started by using scraps and automobile parts bought from different garages and mechanics. He then assembled and reassembled his tractor multiple times until he got it right. Currently, he is testing a tractor that has enough power not just to plough fields, but can also be used for numerous other activities such as transporting goods, drawing water from borewells as well as a source of power for lighting. Surprising as it may sound, Hasmukh Patil is not an exception or rarity in Gujarat. The state has seen several successful startups and in a recent survey by Department of Industrial Policy and Promotion (DIPP) of the Indian government, the state grabbed the first rank amongst all Indian states for promoting startups. Gujarat is now ahead of states such as Karnataka, whose capital Bengaluru is called India’s Silicon Valley and is well-known for a thriving startup culture. The DIPP survey identified seven key reform areas as the basis of the ranking. The survey said that a total of 14,565 startups were registered during the year across the country, offering services in various sectors like IT, technology hardware, healthcare, agriculture, education, food, and renewable energy. “The entire exercise was conducted in essence for capacity development and to further the spirit of cooperative federalism. Awareness workshops in all states, knowledge workshops in leading incubators, pairing of states for intensive mentoring, international exposure visits to the US and Israel and intensive engagement between states with the Startup India team helped many states initiate effective measures to support startups,” the DIPP said in a statement, announcing the results of the survey. Gujarat has allocated INR 1 billion (USD 14 million) budget for startups and provided assistance to at least 200 projects. An online portal was launched to help states submit their initiatives across the reform areas. “The government of Gujarat is promoting startups by good cooperation with entire ecosystem. Startups can directly approach industrial commissionerate and the department is also aggressive to resolve the issues within time frame. Incubators like Icreate, GTU, PDPU and CIIE are bridging and hatching the early stage startups very well,” said Ravi Patel, founder & managing director, Tupik Private Limited, a startup based in Ahmedabad that manufactures personal bed airconditioners that consume only 400 watts of power and can cut electric bills by up to 80 pc in comparison to the standard room airconditioner. The Gujarat government has launched a scheme to incentivise technology startups that provide solutions to sector-specific problems identified by the authorities. The Technology Demonstration and Pilot Deployment scheme is to be implemented by the Gujarat Council on Science & Technology (GUJCOST). Pilot deployment for complex solutions will open up a huge public sector for the start-up ecosystem, says the government. 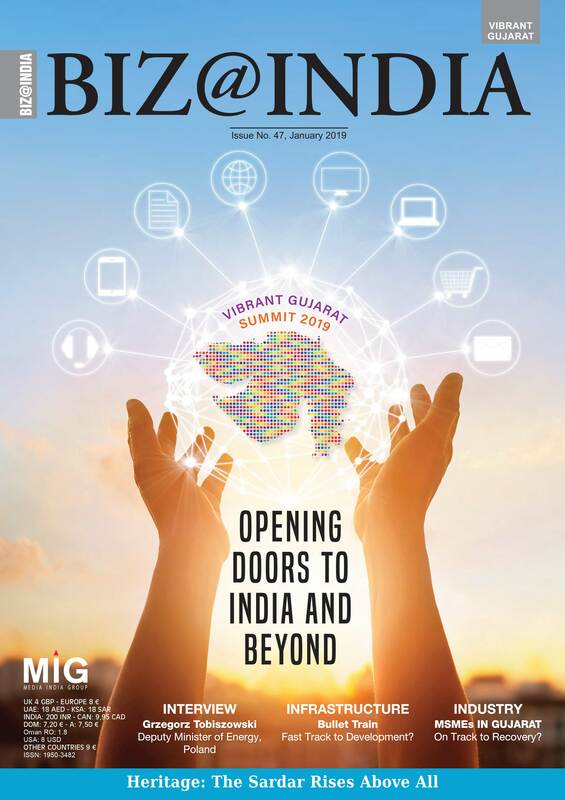 “The scheme endeavours to identify the sector specific problems unique to the public sector in the state and to facilitate deployment of solutions which have been specifically crafted for such needs,” says J N Singh, chief secretary, of the government of Gujarat. The scheme will allow low cost testing for these innovations before the government commits to commercial solutions, requiring much larger financial commitments. It will also allow the state to find solutions to problems complex in nature and specific to the state’s environment such as solid waste management, liquid waste management, urban planning, urban mobility as well as pollution abatement. Under the scheme, a research proposal can be funded up to INR 5 million (USD 70,000) for three years. Earlier, Gujarat had also announced its Science, Technology and Innovation (STI) policy, which created a dedicated Innovation Fund of INR 500 million (USD 8 million). The new scheme will be financed under this Innovation Fund. Gujarat is investing a lot in building a strong ecosystem for nurturing innovation and startups to drive economic growth and boost job creation. The state has an ambitious plan to establish around 100 incubators and to develop almost 200,000 sqm of Incubation Space and support at least 2,000 startups in the coming years. Over the past two years, Gujarat has provided a financial assistance of INR 220 million (USD 3 million) to 175 startups. The government has set a target of facilitating 2,000 startups by 2021. According to Sunil Parekh, chairman of the startup committee of FICCI, an industry body, apart from the 175 government-funded startups there are 26 startups in the state that are being funded by High Net-worth Individuals (HNIs). Currently there are about 35 incubators in Gujarat against a target of 50 that should be up and running by 2021. There are several startups and scale up success stories of innovators incubated from leading academic institutions such as the Indian Institute of Management, Ahmedabad, the top management school in India, the Entrepreneurship Development Institute of India, the Ahmedabad University and the National Institute of Design. Last year, Ahmedabad-based end-to-end IT services provider, Dev Information Technology Ltd, set up a large-scale accelerator for startups, making it a one-stop solution for entrepreneurs to conceive, develop, test and commercially rollout their ideas. “I think the government schemes, grants and incubators are enough but to enhance the entire ecosystem to next level, government has to involve the existing industries into it under their Corporate Social Responsibility (CSR) obligations. We also need experienced industrialists to mentor and support startups with do’s and don’ts. The startups can also benefit from using existing industrial infrastructure and facilities, to add more value to the entire ecosystem. This could boost the startups plus could decrease the current startups failing ratio,” says Patel. 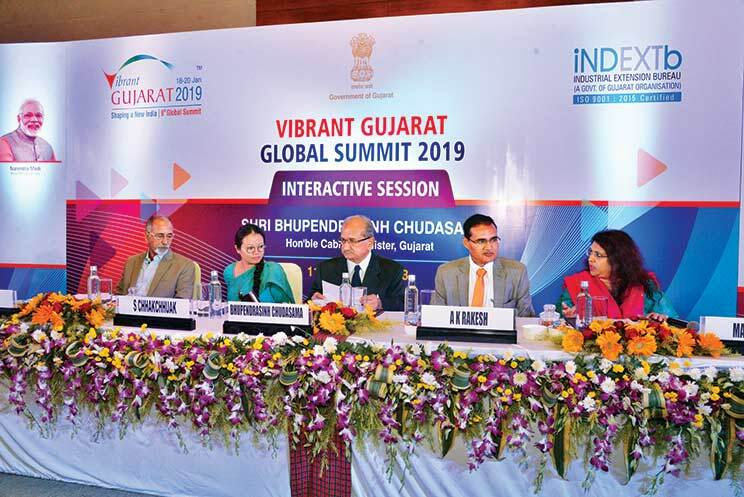 The Vibrant Gujarat Startup and Technology Summit, 2018 was organised as a forerunner to the Vibrant Gujarat Global Summit, 2019. With ‘Experience the Next’ as its theme, the summit focused on the way information technology can transform the way people of India will live in the times to come. 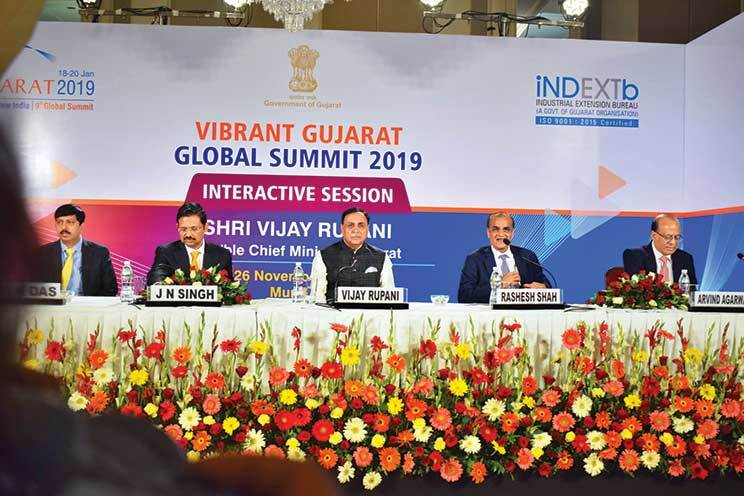 The event also highlighted technology as a catalyst to entrepreneurship that would rerate and redefine Gujarat as a ‘living lab’ for the IT industry and also as a lucrative startup hub. “The Vibrant Gujarat Global Summit gives a fair chance and platform to every startup to allow them to pitch to the right audiences. Sessions moderated by experienced industry leaders and government officials provide useful insights into the real journey of startups and entrepreneurs. Such summits also offer networking opportunities to budding entrepreneurs who can gain a lot from others and can also find members to build a good team,’’ says Patel. “Gujarat’s IT industry’s contribution to India’s economy is 1 pc and I really wish Gujarat takes up the challenge of escalating it to 10 pc because there’s tremendous potential here,” she further added. “Over 80 pc of the startups in India are concentrated in the tier-1 cities but promising startups are now coming up in tier-II cities, including Ahmedabad,” says J N Singh. The event was co-organised by the Industrial Extension Bureau (iNDEXTb), Gujarat Industrial Development Corporation (GIDC) and GESIA IT Association. It came with theme-based pavilions, innovation zones for exhibition, focused topic sessions, workshops, and demonstration of disruptive technologies. According to the state government the main aim of the summit was to generate new ideas, select business ideas, create new enterprises, and help these enterprises identify potential clients for kick-starting their business, that witnessed a footfall of over eight thousand. The summit mainly focused on Fintech, Manufacturing 4.0, Agritech, Smart and Shared Mobility, Governance 2030, women-centric solutions, Healthtech, Maritime and Military Intelligence, and others. Speakers at the event included business leaders like C. P. Gurnani, CEO & MD, Tech Mahindra, Sunil Shah, chairman, JP Morgan Chase, Meetul Patel, COO, Microsoft India, Jeyandran Venugopal, CTO, Myntra and Shruti Gonsalves, CEO SEWA Grih Rin.